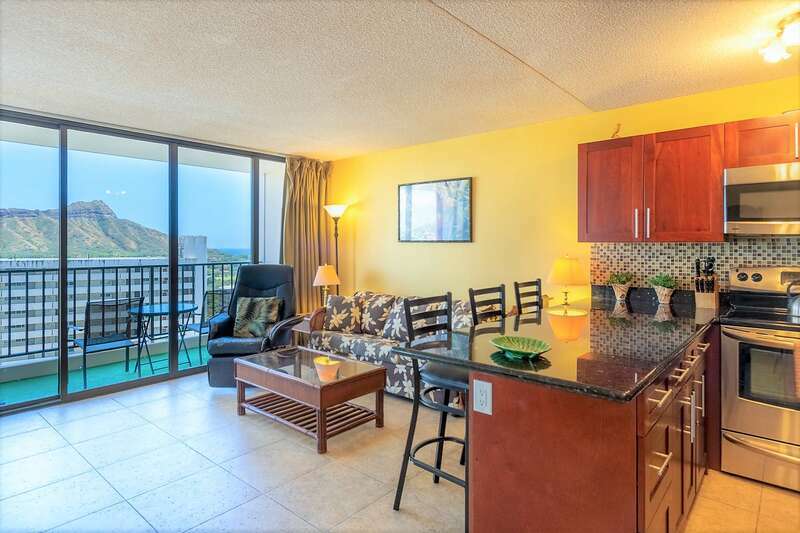 Upgraded Waikiki Banyan condo at an affordable rate. 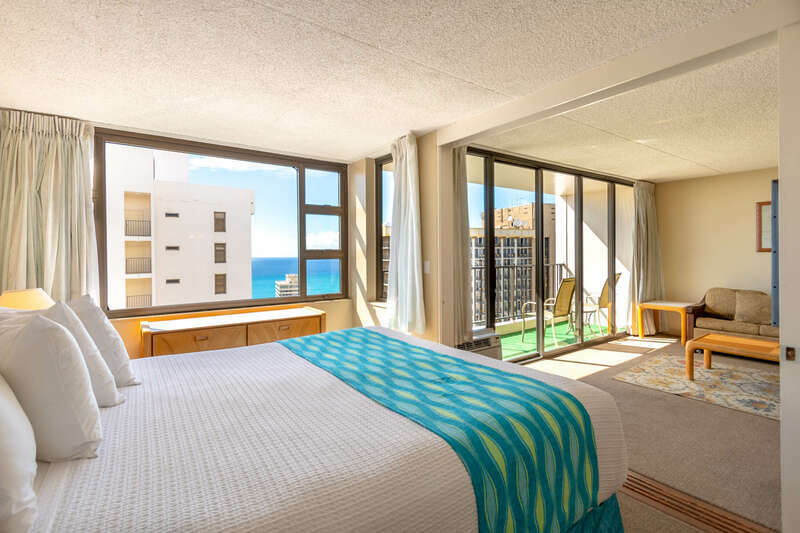 Enjoy paradise in this Mountain View Waikiki Banyan condo suite with 2 high-end luxury queen sized mattresses! 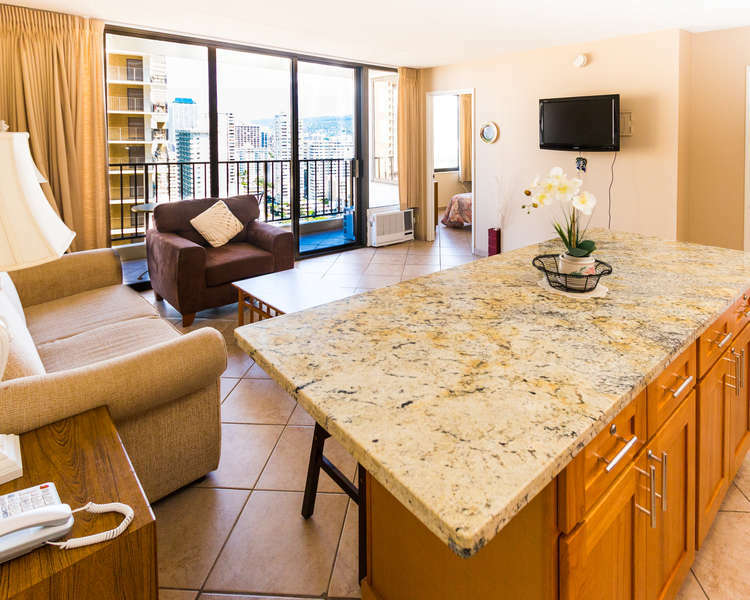 Only one block from world famous Waikiki Beach! Condo suite is located on the 8th floor and has a beautiful view of the mountains, Ala Wai Golf Course, and Canal. 807-2 features cherry cabinets, modern counter tops, and tile flooring throughout! Enjoy a fully-equipped kitchen which includes a refrigerator, range, microwave, rice maker, coffee maker, and other kitchen wares. There is an island with seating for four people. Tile flooring throughout the condo - clean and hygienic. Convenient sleeping arrangements include one queen-sized bed in the bedroom, and a sofa sleeper in the living room. The bathroom is sleek and modern with cherry cabinets and a vessel sink. It has two entrances to the bathroom giving greater privacy to bedroom occupants. The vanity and toilet are separated by a door for further privacy.